Northbay Automotive in Petaluma, CA, is the premier choice for friendly and professional Chrysler auto repair and service. Chrysler is one of the top choices for reliability and performance and has become one of the “Big Three” American automobile manufacturers. If you’re looking for expert auto repair for your Chrysler, don’t trust just any auto repair shop. 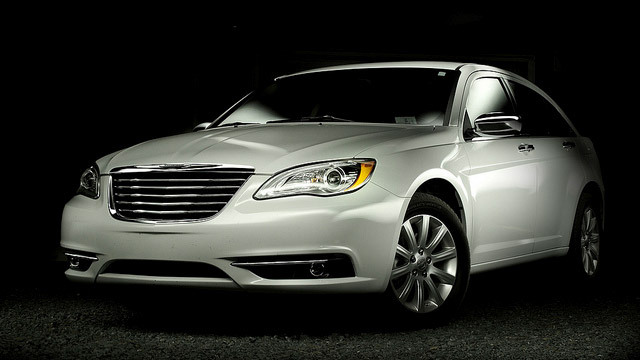 At Northbay Automotive, our ASE certified technicians are specially trained and experienced to work on all makes and models of Chrysler, including Sebring, Crossfire, Town and Country, Pacifica, Chrysler 300, Chrysler 200, and more. Whether your vehicle needs a major repair or is due for scheduled maintenance, our experts can help. We offer a full range of automotive services, including oil changes, brake repair, A/C services, transmission repair, engine services, and more. Don’t settle for anything less than top quality service and expert repairs when it comes to servicing your Chrysler. Our Chrysler auto repair shop has state-of-the-art computer diagnostic equipment to accurately diagnose and repair your vehicle. If there is a problem with your vehicle, we will work quickly to determine the exact cause of the issue to get you back on the road quickly and safely. If your vehicle is due for scheduled maintenance, we will perform all recommended services for your vehicle and will set a reminder to let you know the next time your vehicle is due. Regular maintenance on your Chrysler can help improve overall performance and will also ensure that your vehicle lasts you for years to come. Our experts understand the common issues that can occur with certain Chrysler vehicles and exactly how to repair them. If you’re experiencing an engine problem, transmission failure, brake issues, and more, our mechanics can help restore your vehicle back to top working condition. We pride ourselves on our honesty, integrity, and affordability. Northbay Automotive in Petaluma, CA is a full service automotive repair shop that has been family owned and operated since 1989 and counting. Our ASE certified technicians are experienced working on personal, business, and fleet vehicles. We are your dealership alternative for all services or repairs that your vehicle may need. We also offer a 24 month or 24,000 mile warranty on most services and repairs. If your Chrysler needs a repair or is due for maintenance, don’t hesitate to bring your vehicle into the experts here at Northbay Automotive. We look forward to seeing you soon!